Photos and descriptions of more than 120 Washington state parks are part of the first-ever “Washington State Parks Guide” now on sale now at many state parks as well as online. The 364-page guide, which costs $6 (online $13.80), describes which parks offer popular activities, such as hiking, biking and boating, and also activities that fewer people relish, such as paragliding, geocaching and metal detecting, according to a news release about the guide. 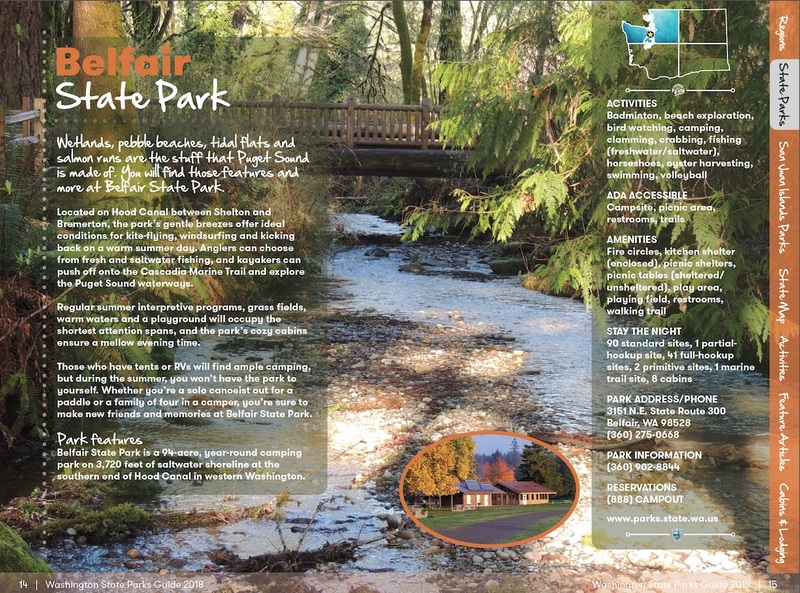 The guide is published by the Washington State Parks and Recreation Commission.